Our training sessions are coached by our expert triathlon coaches who will help you improve your technique, reach your goals and develop at your own pace in a fun, friendly and encouraging environment. 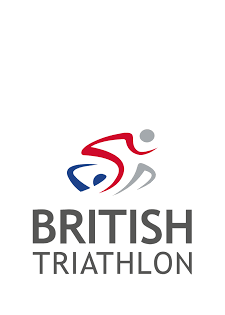 Coming from a football background I did my first Triathlon in May 1994, I loved it and didn’t look back, since then I have raced allover Great Britain and around the world. I have as much (If not More) enthusiasm and passion for the sport today as I did when I first started. I have raced over all Triathlon distances, a couple of highlights have been racing for Great Britain at the Triathlon world age-group Championship in Madeira in 2004 and winning my age-group at the Laguna Phuket Triathlon in Thailand. My next goal is to qualify for the Ironman world Championships in Kona Hawaii, it will be tough but I will get there. The fantastic sport of Triathlon has given me so much and its great to give something back and help other athletes of all abilities on their Triathlon journey. It gives me a real buzz to see members of the club improving, get personal bests in training and racing and achieve their goals. The key to improved performance for me is all about consistency, gradual progression, goal setting, dedication and having lots of determination and passion. I have always been a passionate cyclist, an average swimmer and runner. I tried triathlon in 2013 for the 1st time as an experiment at work and got hooked! Since then I’ve completed various distances at triathlon including Ironman 70.3 Wold Champions in Chattanooga 2017 and Ironman Lanzarote. I love middle and long distance triathlon! I hold a degree in Sports and Exercise Rehabilitation as well as Personal Training qualification and have been working in sports for many years now. You can come to me with bike set up/comfort questions too as I have experience in bike fitting . During my studies I qualified as an Olympic weightlifting coach – a sport I competed in. I have always enjoyed doing sports, but what I really love is helping others to start, get going and achieve their goals. I have received so much great coaching through HTC that I decided to give something back so I qualified as a Level 2 Triathlon coach. I joined HTC in June 2013 and have had the best support and made great friends here! The club is super friendly and open to everyone! Paul has been working within the fitness industry for 9 years now and he has a diploma in personal training (Dip PT) and is a level 2 triathlon coach, as well as a certified Schwinn Cycling Coach. Paul specialises in sport specific coaching, primarily focusing on swimming, cycling, and running. However, he also works with rowers, kayakers, and has extensive experience in dance and martial arts and the training it involves. 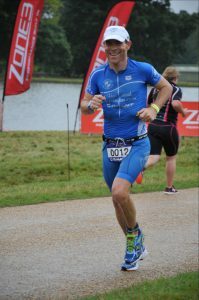 Paul is an active triathlete and enjoys competing in events all across Europe, especially cycle races in the Alps, and has also competed internationally in Taekwondo. His approach to fitness is well rounded and scientific, as he believes multisport training is a fantastic way of reducing ones risk of injury, as the training is so varied it balances the body incredibly well. Triathlon training suits this mindset perfectly while also creating a competitive stage to measure your ability and improvement. Paul also likes to put a big emphasis on flexibility work, as this also makes a difference to injury prevention, performance, strength as well as comfort in everyday life. What a year 2018 has been as an athlete! 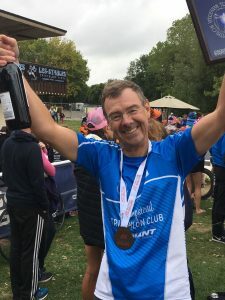 What better way start your IRONMAN or Triathlon journey 2018/19 by contacting Richard as a Certified IRONMAN and British Triathlon Coach at Hampstead Triathlon Club in London, we are the #1 IRONMAN TriClub in the UK and #4 in Europe! We have World class training facilities at our fingertips. 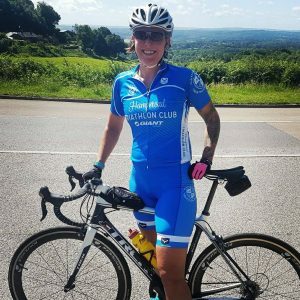 Whether you are a newbie or experienced athlete, I can work with you in person or remotely to deliver you across that finishing line. I am also working with older athletes on their life time goals, as I have experienced successful business myself, bringing up a family and proud to be a empathy style of coach!